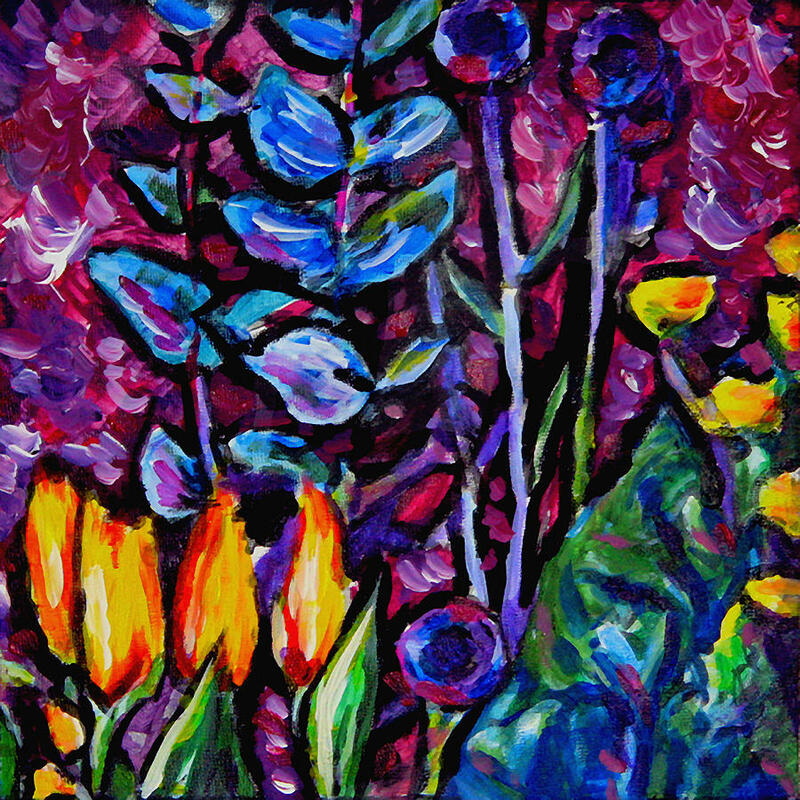 Flower Culture 219 is a painting by Laura Heggestad which was uploaded on January 15th, 2010. This was one of a series of twelve floral panels I made for a set. It reflects my delight in the varied forms and colors that can be found in the flower family. The paint is applied moderately thickly. Unfortunately this photo is not clear enough to make a good, large print. I'd like to save FAA the awkwardness of having to decline an order based on photo quality. Adding to this problem is that I no longer have this painting, so I will probably not be able to get a better photo of it. But I can offer to do a very similar original painting on commission. For an 8x8 original the price would be $60. I would email you photos of the commissioned work before asking for payment. 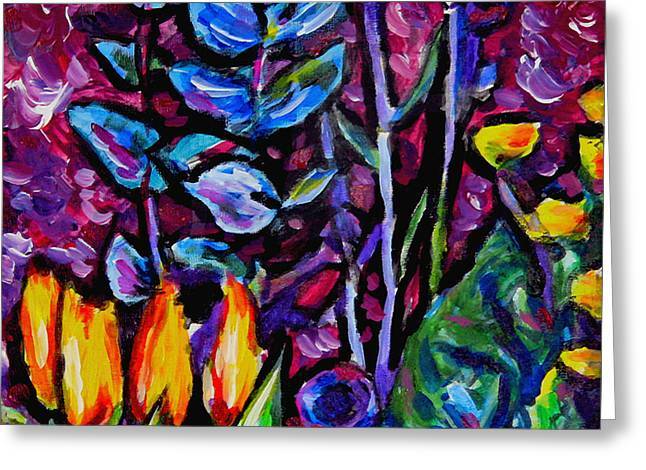 As with all the artworks shown on this site, this painting was a joy to create once, and I would (upon request) be happy to create a similar reproduction for a floral enthusiast who wanted an original work. Thank you, Mr. Jarbou! I greatly appreciate the kind and favorable comments you have posted among some of my paintings. Peace be with you! Beautiful work Laura..i like your style...All best.